Thinking of Spring - Be Glossy In and Out! Because I don,t like very much the cold, I am dreaming of springtime, of color, nature, flowers and the sea. 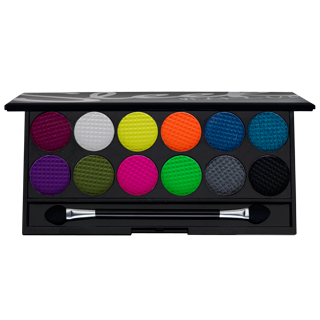 I found this eyeshadow palette from Sleek Make Up, which made my day more shinny and I added it to my wishlist. I will have a review about it very soon. Until then, join me in my day dreaming!! The pallete is very nice! Love the bold colors in this palette! They look very pigmented. Hi Rinny, I love the colors of this palette also and that,s why very soon it will be in my hands:)) I,m waiting for the spring hehhe.. Hope you,ll follow me also and come back soon. I will do the same.